Springs Mennonite Church attendees come from primarily Springs, Salisbury, and Meyersdale, PA and Grantsville, MD and surrounding communities. 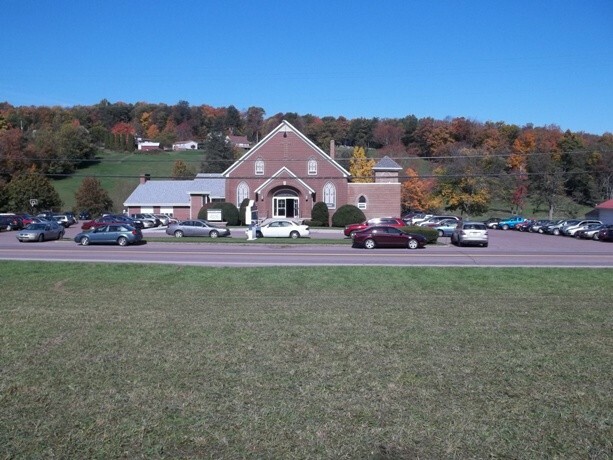 Springs Mennonite Church is located along RT 669 3.3 miles north of the Grantsville, MD I-68 Exit 19. We are here for you, whether you are visiting, "church shopping", or just curious. We, the Springs congregation, have been changed by Jesus Christ. Saved by His love and forgiveness, we are empowered to carry forth His ministry, through obedience, teaching, service, and healing. Reaching out to all people, by faith we journey together praying, worshiping, and making disciples. By our living in the spirit, we reflect His love, joy, hope, and peace. from 9:30 to 10:25 a.m.
Sunday Morning Worship Service from 10:30 to about 11:45 a.m.